The fast-evolving and interconnected world of today requires knowledgeable, capable, and creative problem solvers to make sure our digital infrastructure meets the demands of users. A Network Administration degree from SCTCC provides rigorous hands-on and inquiry-based coursework focused on up-to-date equipment and software, current techniques, and best practices. Our technology curriculum is built on the combined efforts of staff, faculty, and industry partners. The Cyber Security major brings together foundational information technology knowledge and focused cyber security skills to develop knowledgeable and capable security specialists. Curriculum includes planning and implementing security measures for the protection of computer networks, systems and data. Hands-on coursework includes incident response, forensic examination of hardware and networks, system hardening and offensive security methodologies. As a student, you will experience cross-disciplinary learning, hands-on activities, and project-based learning to engage you in applying your new skills to real-world scenarios that are in high demand in today's IT industry. "I lost my job and was a stay at home father of two boys. I returned to school because it is very important for me to make the lives of my family and others better. My dream is to work in the medical field, networking medical equipment and systems – and possibly saving lives." I have a passion for computers. I like building computers, helping with networks. It’s been going very well for me so far. It’s an ever-growing field and there will always be a demand for it. Understand the broader implications of information security in the workplace and in a globally-connected network. Analyze situations where security could be improved and develop an efficient and effective solution. Maintain a personal knowledge-base for past, present and future security situations and solutions. Perform their duties with discretion and high ethical standards when dealing with sensitive data. The curriculum includes a strong combination of skills, and when they are combined with very attainable certifications, there are opportunities for excellent job placement. 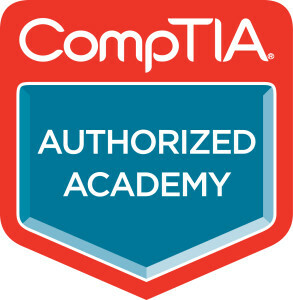 The Information Technology Infrastructure program is a member of the Cisco Networking Academy and CompTIA Academy. Our Network Administration program has an articulation agreement with Metropolitan State University. Upon completion of your AAS Degree in Network Administration from SCTCC, you can pursue your Bachelors in Information Assurance by transferring in your first two years. In addition to tuition and fees, students can expect a cost of $800-1500 for books, supplies, and materials. Apply one time for SCTCC scholarships and you're considered for all eligible scholarships. SCTCC Computer Club: Hands on real world experience through volunteering with local businesses and organizations. Students actively participating in the club have several opportunities to compete in state and national competitions including SkillsUSA, Cisco NetRiders, and the Collegiate Cyber Defense Competition. PC Specialist vs. Network Admin - what do they do?